Based on their innovative and original ideas, synthetic marble product manufacturer Timec has developed user-friendly handrail with an integrated synthetic marble washbasin for wheelchair users. 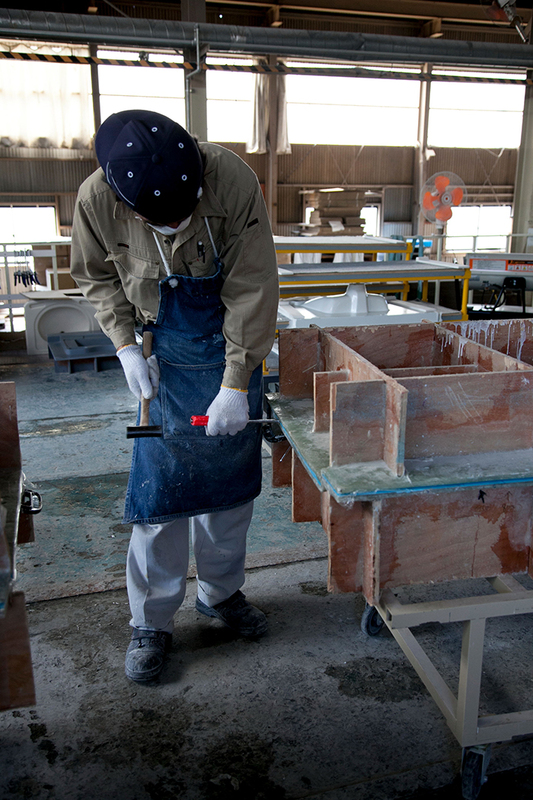 The beautifully designed synthetic marble wash basin is a product developed with the Japanese spirit of genuine concern for the country’s rapidly aging population; with a design basis that takes heavy considerations for individual caregiver’s needs. The company’s products achieve a high level of safety and durability through their very strict quality control standards. These standards have been the driving force in the expansion of this product’s use. Due to its very high quality, durability and safety, Timec’s products are now being used in a wide variety of settings that are no longer limited to just hospitals or nursing homes, as it can also be used in large scale commercial facilities and even common households. The handle with integrated wash basin is constructed from synthetic marble. This is the very material that this company specializes in; and was designed to be integrated with the attached hand rail. During the manufacturing process a hole is cut especially for the hand rail in the front part of the wash basin; making this a product that can be used to grab the washbasin. Due to the conventional type of attached handle for nursing care wheelchairs being vertically oriented towards the washbasin, the user needs enough strength to support the weight of their body from the front direction when grabbing the handle. However, because the single body type has a parallel orientation it does not require much strength to use in a forward direction, so it is much easier to support the weight of the body. The design does not give the user a sense of discomfort and does not require after care so it is a very cost efficient product. This product was actually developed through the experiences Timec CEO Yuji Tanahashi had while caring for his father. Mr. Tanahashi’s father was paralyzed from his neck down so the family was put into a situation where they had to provide nursing care for him due to the development of a chronic condition. Fortunately, his father was able to recover from the condition; however that experience gave Mr. Tanahashi first- hand knowledge of the difficulties of nursing care. He reflected that, “We developed this product on the premise that when people are being cared for they tend to try to do things on their own so they don’t trouble caretakers. However, most people are not able to simply [stand up] in household settings. The afflicted person may be able to slightly stand up on their own, however, it requires effort from both the caregiver and the person being cared for so we understand the perspective of both parties”. He also humbly stated that, “To summarize things, our product is simply a combination of an existing washbasin with a handle. 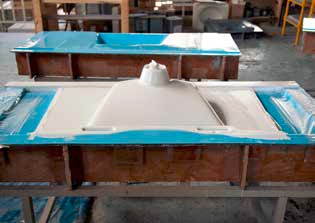 However, the features differ completely from conventional wash basins because of a small design failure in most conventional models. In addition to the features, the washbasin is a single bodied piece so it has a very attractive appearance. I definitely wanted to make a product that can be useful for anyone”. He also added, “When I thought of this idea, I felt that I knew that I had to share it with the world because I have no doubt that this product can contribute to the lives of many people. I never considered this experience to be a coincidence, I knew it was an experience that I was destined to encounter”. Through the Japanese Sense of Consideration, Timec has brought a Superior Universal Design for Persons with or without Disabilities to Life. 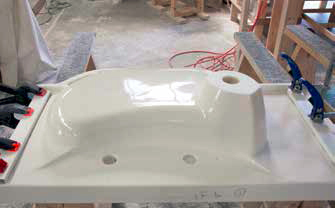 One of the key features of Timec’s wash basin is the wider foot area. The sink is designed to be shallow, so the wheelchair user does not hit their legs on the bottom areas. The adjustable electric wash basin feature makes it even more easy to use for wheelchair users. In consideration to usability and safety, the cabinet terminal utilizes soft edges so each surface is rounded and tinged to R design specifications. The integrated handrail can be used with other kitchen and counter products this company manufactures. Timec is very concerned with universal designs for people with and without disabilities. 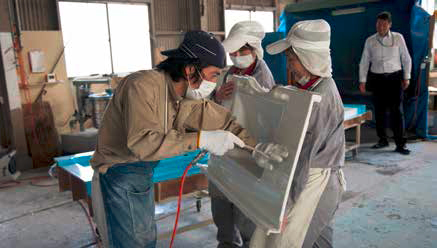 As a country with a long history of craftsmanship, Japanese diligence and enthusiasm in combination with their sense of consideration for others is a culmination of Timec’s products in a country with a rapidly aging population. 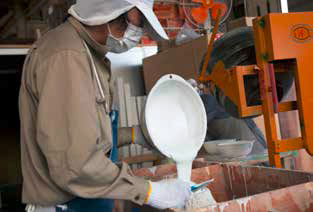 With 35 years of experience producing synthetic marble, consistency can be seen in Timec’s factory from initial product design to manufacturing finished products. Synthetic marble has been used as a substitute material for marble for decades. The benefits are that the material is easy to process and enforce while it maintains a high quality of texture. Timec is a manufacture of synthetic marble that has a wealth of knowledge and over 35 years of experience in producing the material. 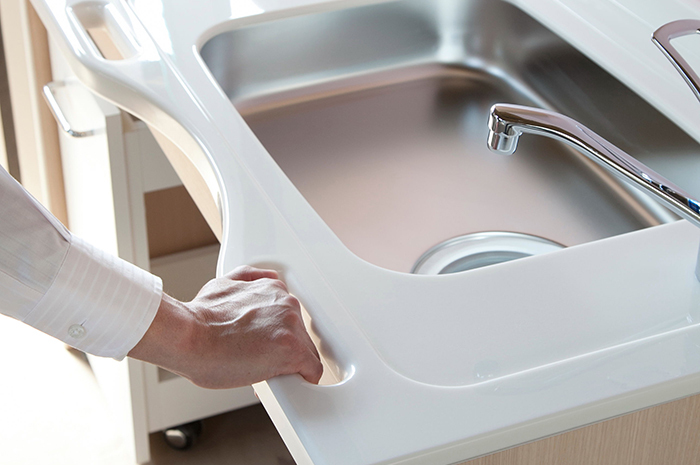 In addition to washbasins, the company also produces order made counters, checkout counters for a major Japanese fast food chain, large commercial facility and hospital counters, convenience store chain toilets and various other large scale projects. 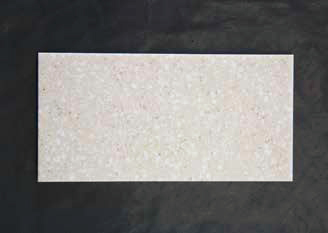 Polyester and acrylic are the two types of material used in the production of synthetic marble. Acrylic has excellent heat resistance and is cut like a plate material. Holes can be drilled in it and it provides durability and resistance to impact in products that are molded or bonded with the material. Polyester is made from a method in which it is molded and combined with other molding materials, so it can be mass produced and production cost is very low. 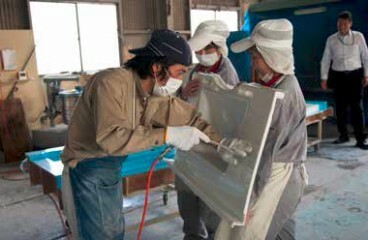 Timec is a very unique Japanese SME, through years of experience Timec has devised a way to utilize both materials in product manufacturing. The company is increasing their competitive edge by consistently designing new products, shaping and manufacturing all of their products at their factory. These processes result in product finish times being quick and efficient, while maintaining a high standard of quality at a reasonable price. The company works at full capacity when they receive orders for custom products. Timec can meet all specific customer needs because all steps in the manufacturing process are carried out at the company’s factory. 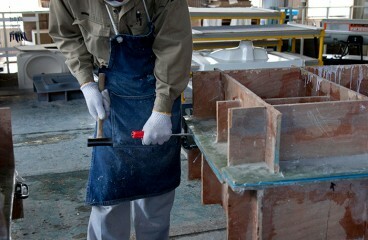 They strive to constantly improve their finished products and shorten production time to meet deadlines. 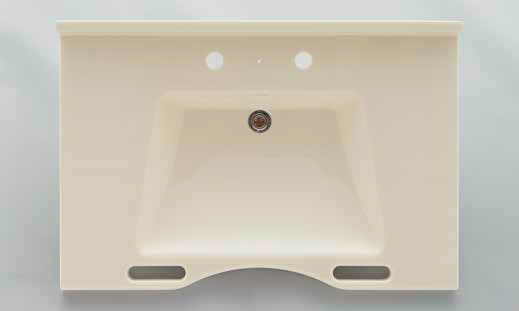 The company accepts various kinds of orders from single counter tops to washbasins. 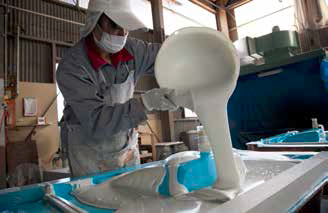 Timec CEO Mr. Tanahashi claims that, “We can fulfill all types of custom orders for product design, development and mass production for orders made from synthetic marble. While communicating with the user, we can offer our clients time efficient product design and manufacturing”. Contributing to the world by pursuing quality and aiming to set global standards. 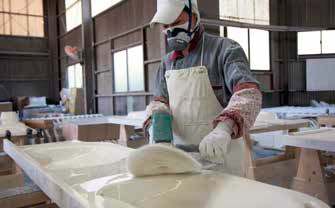 Quality production is the main focus at the Timec factory. Mr. Tanahashi went on to explain, “In terms of quality, we are proud to say that we meet the standards of larger, well known makers in America. 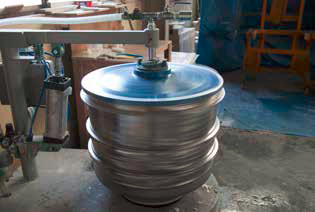 The safety of our handles is tested through repeated stress and resistance testing using 150kg. Also, Timec is the probably the only company in the world that polishes the back side of the washbasin during the finishing process. We even took considerations to quality in the back side that is not commonly seen when wheelchair users use the wash basin and their legs reach the bottom of the sink”. Aiming to set global standards. 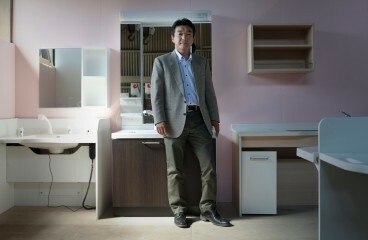 Mr. Tanahashi predicts that it is possible for his company’s level of quality control to become a global standard. He went on to explain that, “In countries like China and other developing Asian nations, population “wave” different ions are becoming a normal thing because they have a very young portion of the population. However, as each country’s population ages, I think that there will be a common need for products with a universal design with a focus on safety. 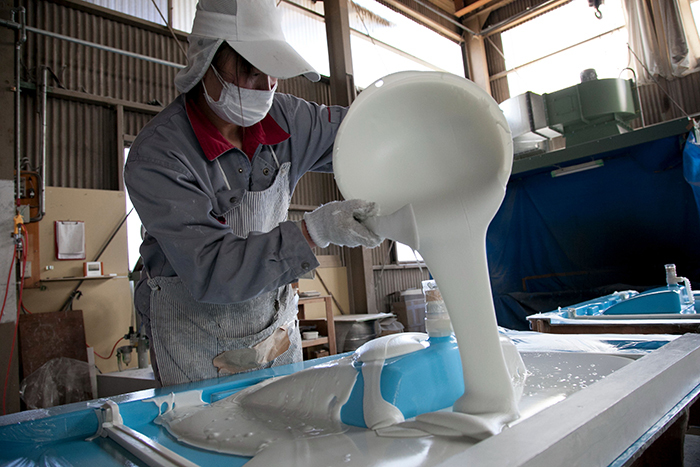 When that time comes to other countries, manufacturing sites in Japan will be welcomed and Timec will play an important role in considerations for quality and eliciting new ideas”. Business description: Design, production and sales of products made from synthetic marble.